The best credit cards for military spouses have no annual fees plus offer huge welcome bonuses and outstanding recurring benefits. Both the American Express Platinum and Chase Sapphire Reserve are available with no annual fees for military spouses. As most military spouses know, travel is a huge part of military life. You usually are stationed with your spouse far away from your family. With the cards listed on this page, you can earn exclusive travel benefits like hotel points and air miles, free hotel stays, travel credits, and airport lounge access. Imagine the next time you go home to visit your or your spouse's family you can book one or two tickets for free. What if you could fly the whole family for free? Or, if you go road tripping, you can stay at hotels along the way without paying a dime. If you want to take the family to Disney World, you can do it for much cheaper than the advertised price. Those are the benefits these credits cards offer military families. Thanks to generous interpretations of the Military Lending Act (MLA) and Servicemembers Civil Relief Act (SCRA), military spouses can get the annual fees waived on the best luxury travel and rewards cards available. American Express offers all of their cards, including business and personal and charge and credit, for no annual fee for active duty servicemembers. Spouses can also get their annual fees waived. In some common property states, the SCRA benefits are automatically applied. In non-common property states, you must add the servicemember as an authorized user to the account. Then the fees should be reimbursed. As always, your experience may vary. Please let us know in the comments if you needed to add your active duty spouse to your account to get the fee waiver or it was automatic. Please include what state you currently reside in to help gather data. Of all the great cards available, I highly recommend the AMEX Platinum for military spouses. This card has the highest annual fee waived and offers amazing travel and lifestyle benefits. Besides the great welcome bonus of 60,000 points after spending $5000 in 3 months of card membership, you get many other perks with this card. The $200 annual Uber credit can be redeemed for Uber Eats, meaning free food for you and your family! If your active duty spouse also has a AMEX Platinum, you can combine the credits in a single Uber account for $30 per month. My wife and I currently receive $45/month in credits from our 3 AMEX Platinum cards (Ameriprise, Schwab, and Regular). The best travel benefit is the Centurion and Priority Pass Lounge access. When you're travelling domestically or internationally, airports can be loud, bright, and chaotic. Escape all of that noise and retreat to a Centurion Lounge or Priority Pass lounge at hundreds of airports around the world. Most lounges also offer free food and drink. It's an outstanding benefit included with your card. It makes travelling so much easier and more pleasureable. Once you experience it, you won't be able to go back! This card has amazing benefits for military spouses and servicemembers. The $450 annual fee is completely waived, which means you get all of these benefits without paying a dime! When you hold this card you get complimentary Diamond Status. That means free room upgrades, welcome gifts, free breakfast at every Hilton hotel, executive lounge access, late check-out, and early check-in. The Diamond Status a tremendous free benefit available to military spouses and their active duty partners. 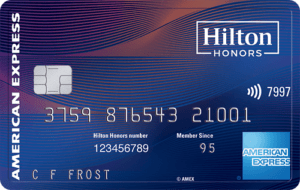 Other benefits of this card include the $250 resort credit, which can be redeemed at any of the 226 resorts listed on this page: Hilton Resorts. That means free food, free massages, or free whatever else you charge to the room. It's an amazing benefit. You also get an annual weekend night reward credit after opening your new AMEX Hilton Aspire card. This reward renews every year on your account anniversary. It totally makes the card worth keeping open for years on end, especially since you're not paying any annual fees! This card is a no-brainer. You can get 100,000 Marriott points after meeting the welcome bonus requirements. You get a free night stay at any Marriott, SPG, or Ritz Carlton property up to 50,000 points. This can be worth over $1500, depending on where and when you stay. The $300 credit can be applied to room rate charges or anything charged to your room. Essentially it $300 free to use as you wish at any SPG or Marriott property. Such a great benefit, even if you are paying the annual fee, but you're not! 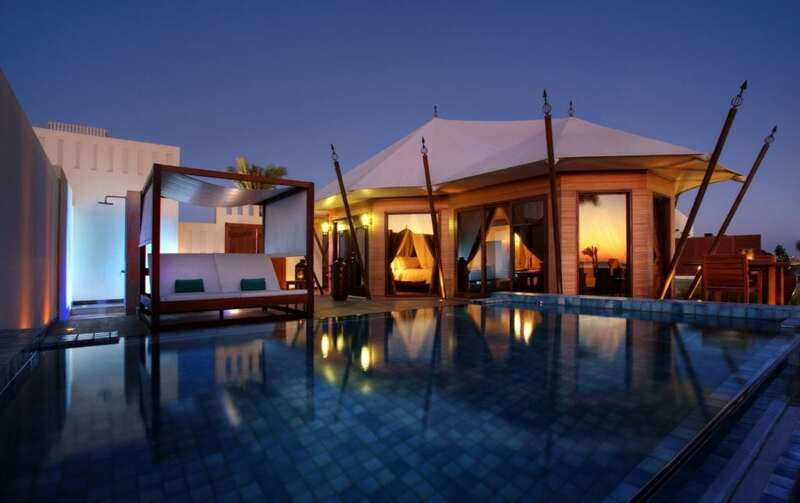 With the Bonvoy Brilliant Card from AMEX, you can book this hotel along with over 6000 other amazing properties with your welcome bonus points and annual free night. If you're in the military, you'd be crazy not to pick up this card. If you're looking for the best cash back rates, the AMEX Blue Cash Preferred needs to be at the top of your list. The annual fee of $95 is waived for active duty military spouses. Note that you may need to add your active duty servicemember as an authorized user, depending on your state. The 6% cash back on US supermarkets works at all DECA Commissaries, whether you are overseas or in the US. The 3% cash back on US gas stations also works overseas at NEX/AAFES gas stations on base. Chase changed their military policy in 2017. Any Chase personal card opened on or after 20 Sep 2017 is eligible for annual fee waivers, whether you are an active duty servicemember or married to an SM. This is an awesome change to Chase's policy. Since making this change, my wife and I have applied for many more Chase cards than we did before. Now is the perfect time to get any of the travel, hotel, or airline Chase credit cards listed below. My wife opened a Chase Sapphire Reserve card in October 2018. Before we even received the card we received a letter from Chase notifying us that her annual account fees were waived under Chase's interpretation of the MLA. This will save us $525 per year in annual fees! This card normally carries a $450 annual fee and a $75 authorized user fee. My wife and I used to pay $525 per year to own this card before Chase changed their military policy. Now, since the card is free, it makes sense for both of us to open our own accounts. That way we can each get the $300 annual travel credit and the 50,000 point welcome bonus. The other perks of the card include free Priority Pass lounge access, a great travel insurance benefit for hotels and air travel booked on the card, and no foreign transaction fees. The no foreign transaction fees really come in handy when you live overseas or travel TDY/TAD overseas a lot. This has been our experience in the military so far. We have saved hundreds of dollars on foreign transaction fees with this card since 2016. You should also look at the Chase Sapphire Preferred with it's increased 60,000 point sign up bonus. It may make more sense to open this card first and then upgrade to a Sapphire Reserve after one year. More information on this plan here. This should be a great list to get you started! If you are interested in the optimal order in which to open credit cards to maximize your benefit as a military servicemember, check out my step by step guide. As you can see, the best credit cards for military spouses waive the annual fee but still offer huge sign up bonuses and recurring annual benefits. Switching to these cards makes sense for both active duty servicemembers and their spouses. Take advantage of your MLA and SCRA benefits while you still can. I would not be surprised if the credit card companies started restricting how generous they are with the military annual fee waivers. Are you or your spouse in the military? Are you paying any annual fees on your credit cards? If you are, let me know why in the comments! Was your wife an authorized user on a different chase card prior to the CSR? Curious how the automatic MLA triggered. I think dependents are covered under the MLA and so the credit card companies ping the DEERS database or similar with Social Security numbers to ensure compliance. Chase Sapphire Reserve annual fee removal was automatic for my wife w/o adding me as an authorized user. Great data point, thanks! My wife’s (she’s civilian, not active duty) annual fee was also removed but I am an authorized user on her account.